Fanø is the northernmost island in the Wadden Sea and here you can just relax in the beautiful nature with heather, dunes and woods. The small, cozy towns on Fanø, the nature and the short distances form just the perfect frame of a wonderful holiday at the Wadden Sea. The wide, white sandy beach of Fanø is 15 km long and goes right from the northern point to the southern point. The beach is the centre of rotation of a lot of activities all year round, such as sunbathing, playing, sailing and kite-flying. The beach of Fanø is also known to be a good place for finding amber. The trip to Fanø starts with a nice, short ferry tip from the harbor of Esbjerg and it takes only 12 minutes. The Fanø ferry is in service from Esbjerg to Nordby on Fanø several times an hour and almost round the clock. It is not possible to make a booking, but if you don’t catch the ferry, you will not have to wait long for the next one. The fair of the Fanø ferry depends on whether you bring a car or not and whether you are on foot or biking. 1947 guests have granted an average assessment of 4,60 out of 5 possible stars. When you rant a holiday home on Fanø, all the attractions and experiences are just within reach. Fanø is a charming and manageable little island with its 56 km2. Fanø has a length of 16 km, so wherever you rent a holiday home, you will be close to a town or a nature experience. 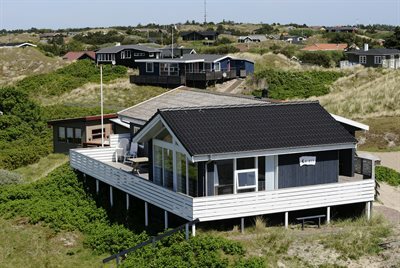 The island has plenty of culture history and used to have an important history of seafaring, where the sailors got inspiration from foreign countries to bring back home to Fanø, which mirrors the music, the dancing and folk costumes, that you can see at the festivals Fanikkerdage and Sønderhodagen. When you arrive with the ferry to Fanø, you can already see Nordby with its beautiful, old houses from the 19th century and road and alleys, that haven’t changed for hundreds of years. You can spend a wonderful day shopping and visiting one of the restaurants in Nordny. 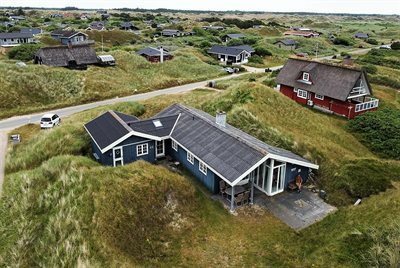 Take a trip to Sønderbo, when you rent a holiday home on Fanø and take a walk through the idyllic and nice town. 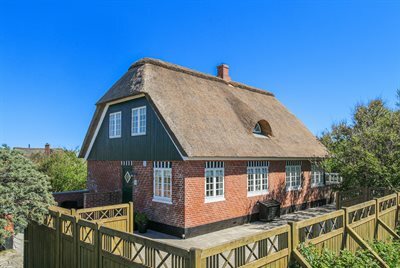 The old, thatched houses date back to the 18th and 19th centuries and Sønderho was once elected the most beautiful village in Denmark. Fanø has always attracted artists, who were inspired by the light, the life and the nature on the island. Go explore the island, when you stay in a holiday home and visit the galleries and the open workshops to get to know a lot about the working processes of the artists. 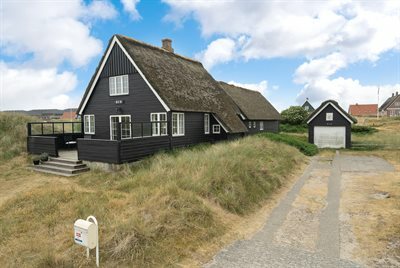 This is an excellent opportunity to find a quite unique piece of art from Fanø to bring with you back home. If you want to spend your holiday in a holiday home on Fanø, you can plan your holiday in relation to the many festivals that are held on Fanø. 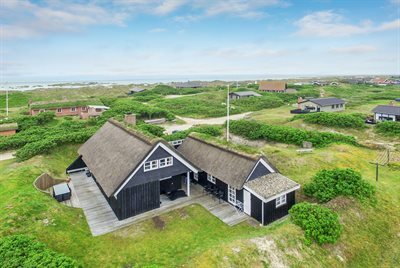 Rent a holiday home at the time of your favourite festival Godtfolk Festival, Fanø Rocker and Fanø Free Folk Festival all have their individual characteristics, but the common thing is the music and the guest musicians from Denmark and from other countries. If you enjoy knitting, the big, international knitting festival is a must. Another big, international festival, that attracts a lot of people to Fanø, is the Fanø Kite festival. Here you can enjoy the impressive sight of thousands of kites of any shape and color gliding over the Fanø beach in the month of June. If you want to visit a more child-friendly version, there is the Fanø Family Kite Festival in August, focusing on the children and with a lot of activities for the children. If you spend your holiday on Fanø, you are surrounded by nature. You will often see roe deer, pheasants and hares right outside the windows of the holiday home or when you sit on the terrace with your coffee in the morning. You might even be lucky enough to see some of the wild rabbits of Fanø when you stay in a holiday home on the island. You will see a rich bird life on Fanø, which to a high degree is due to the fact that the island is in the middle of the Wadden Sea. The birds find a horn of plenty full of nourishment, and there are lots of picnic areas, of which migratory birds and aquatic birds profit. So, on Fanø you have the chance to see a big number of various species, which you will normally not see in Denmark. The big flocks consisting of thousands of birds, is a fascinating sight. Yet another natural event that you should not miss when you are on a holiday in a holiday home on Fanø, is the seals. You have the possibility to see seals in their natural environment, when you visit Fanø. Big groups of seals are on the sandy banks off the coast of Fanø. You can take a walk to the sandy banks together with a nature guide or go on a seal safari on a ship and have a round trip in the sea surrounding Fanø. If you want to bring your dog for a stay in a holiday home, it is easy to rent a holiday home on Fanø, where you are allowed to bring the dog. There is no reason to leave the dog in other people’s care, as it would just love the holiday in a holiday home just as would the rest of the family. Fanø’s beautiful nature invites you for wonderful walks with the dog. There are lots of pathways in the holiday resorts on Fanø, where you can walk the dog, when you take it with you in a holiday home. You could also visit the fenced-in dog park on Fanø, where the dog can run free and explore things and romp around. The fenced-in dog park on Fanø is in the Fanø Klitplantage. You could choose to rent a holiday home with a fenced-in site or terrace, so you can relax together with the dog and don’t have to keep an eye on it all the time. If you rent a holiday home permitting dogs, there are still certain rules to be observed. 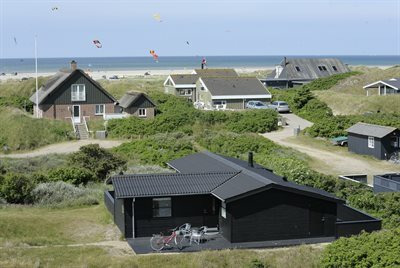 When you rent a holiday home on Fanø, you can pick and choose from various types of holiday homes and flats. 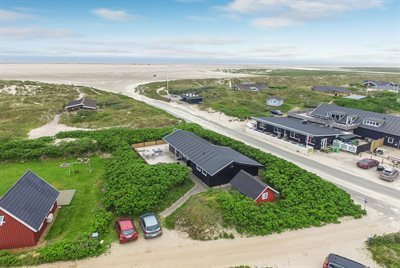 At Sol og Strand Feriehusudlejning you can rent holiday flats in Fanø Bad, the historical bathing town that has attracted bathers for more than 100 years. Fanø Bad is at the west side of Fanø, facing the wide sandy beach. If you rent a holiday flat in Fanø Bad, the North Sea is right outside the door. If you rent a holiday flat in Fanø Bad Feriecenter, you will also have access to a lot of common facilities, such as a swimming pool, table tennis, a laundry and playgrounds for children, outdoor as well as indoor. The holiday flats are all decorated in an individual and cozy way, and it is up to you to rent a holiday flat with a view of the sea and a balcony. If the weather is not the very best, it could be a good idea to rent a holiday home with a swimming pool or a holiday flat with access to a common swimming pool. A holiday home with a swimming pool gives you the opportunity to go for a swim, play and splash about in water, even if it is raining cats and dogs. The water is always warm, and you have privacy and can take a swim whenever you want. Children in particular are just delighted to be able to play in a swimming pool in the holiday in a holiday home or a holiday flat, and for the elder children there are hours and hours of fun and entertainment in a swimming pool. There are extra costs relating to a swimming pool and that should be taken into consideration before renting a holiday home with a swimming pool. For many people a little luxury is part of the holiday. 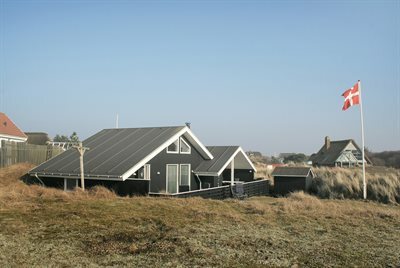 Be pampered by a luxury holiday home on Fanø and a lot of quality time together. Luxury holiday homes are often big and spacious to ensure room enough for the entire family. Often there is also wellness equipment in luxury holiday homes in the form of a sauna, whirlpool and a swimming pool. It could also be hours in front of a woodburning stove or a nice view of the sea that makes a holiday home to a luxury holiday home. If you are more people going together, it might be a good idea to rent a luxury holiday home with an activity room for playing e.g. table football, darts and billiards. 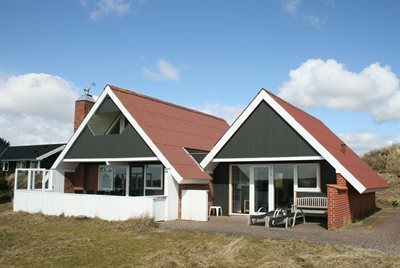 It is not necessarily more expense to rent a luxury holiday home than a standard holiday home. If you rent a luxury holiday home out of the peak season, the price would suit most people. Renting a private holiday home for the holiday offers a lot of advantages. Whether you choose a private luxury holiday home, a private holiday home or a private holiday flat with a swimming pool or a private holiday house, where you can bring the dog, you will be sure to have sufficient room and privacy. Private holiday homes is one of the most popular ways of staying the night in the holiday and for a very good reason. Private holiday homes are homelike and a nice place to stay, and they are often situation right in the middle of Denmark’s beautiful nature, close to the sea. Consequently, a private holiday home is the perfect thing for a relaxing holiday, and families with children, in particular, will enjoy the space and the outdoor areas of a private holiday home, allowing room for playing and expressing yourselves. 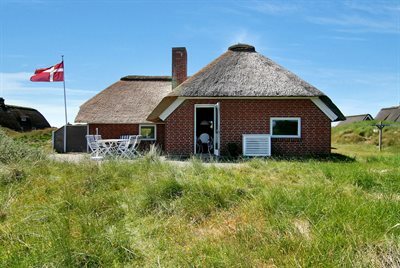 Rental of holiday homes is vaste on Fanø and therefore it is easy to find a private holiday home for your holiday at the Wadden Sea. A private holiday home is decorated to the owner’s taste, which hopefully is also to your taste. Private holiday homes often have a big terrace, facing south, where you can enjoy your breakfast, sunbathe and have a barbecue in the evening. A grill is not standard equipment in a private holiday home, so it would be a good idea to bring your own grill or buy a disposable grill when you are on a holiday in a private holiday home on Fanø.